john conti Coffee Company is a small-batch, artisan roaster of specialty coffee, producer of the iced tea Contea, and provider of AquaConti water services. Our services extend to offices, restaurants, convenience stores, and factories, with evolvement continuously growing the amenities we offer. When you drink john conti, you'll know you're drinking the best beverages in town. Like many greats, john conti Coffee Company began in a garage as a one-man business. With one cigarette vending machine and his 1949 Chevrolet, John Conti established the groundwork for what would later become Louisville’s first coffee shop and eventually the largest small-batch, artisan roaster in the region. Evolution of the company has transformed john conti into a leader in the beverage industry with the ability to offer cutting-edge technologies and the highest-quality products available. The quality of our products have been recognized by others with John Conti Coffee receiving numerous prestigious awards, including “The Tops Award”, awarded to only a few companies by the Specialty Coffee Association of America. The company also boasts receiving “The Best Coffee in Louisville” award presented by Louisville Magazine. The company has always made a commitment to delivering “The Best Beverages in Town” and a level of customer service second to none. Our growth and evolution has led to the company expanding its quality product lines by introducing Contea, a premium China Black Tea that folks say is the best iced tea they’ve ever taste. Also available for businesses large and small is Aqua Conti, a pristine premium drinking water bottled at our Louisville, Kentucky facility. Most recently, growth has been fueled by the acquisitions of no less than eight different companies in the last few years to help expand our footprint of service in the region. The year John Conti started his business. Number of states john conti operates in. Pounds of coffee roasted each day. Cups of coffee served each week. As we have celebrated the success of our company over 50 years, its always been a priority to give back to communities in charitable and civic ways.  We have initiated our own non-profit company called, “Roasting for a Reason” and serves as our sister organization to identify and make contributions to those needing assistance in selected communities we serve. 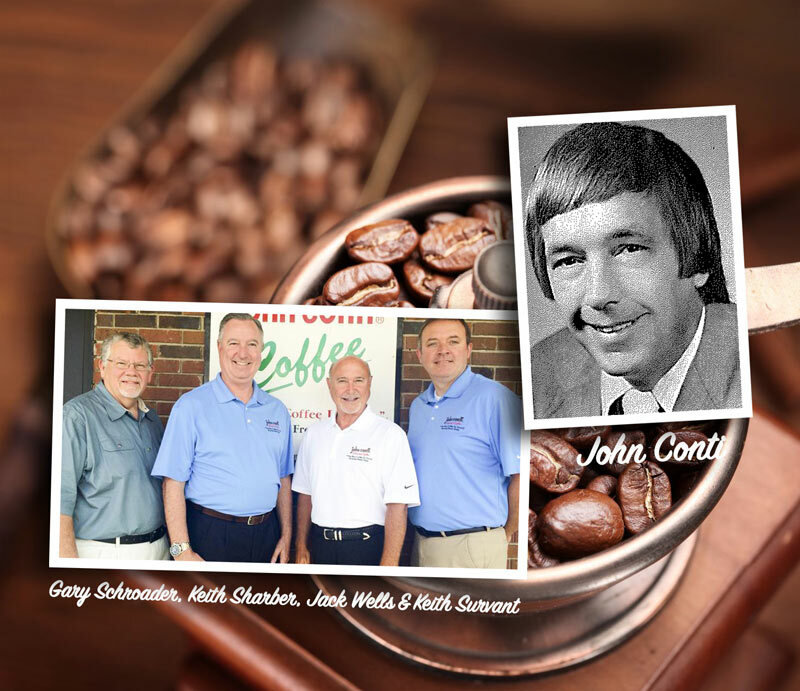 The john conti Company has been serving the finest coffee in Kentucky, Indiana, Tennessee, Illinois, West Virginia, Virginia, Michigan, Wisconsin, New York, New Jersey, Minnesota and Ohio since 1971. We are located at 4406 Ole Brickyard Circle in Louisville, Kentucky. For more information, call (502) 499-8600, e-mail info@johnconti.com, find us on facebook, or visit www.johnconti.com.